In September we shared the story of Călin Dejeu, biologist and economist. He has over 20 years of experience in environmental civil society, environmental NGO and the Ministry of Environment. Dejeu puts a lot of his effort into saving the Jiu River. The river is threatened by construction work. The Jiu river is one of the last free flowing rivers in the Carpathian Mountains. And it is important to keep the river free flowing, instead of dammed. Dejeu and NGO EuroNatur joined forces to open another lawsuit against the construction work a few months ago. Although the lawsuit was not won, there was a positive development recently. The Bucharest Court of Appeal permanently cancelled construction permits in the valley. However, despite Court orders, the company Hidroelectrica continues construction works. The company, a state utility, seems to have powerful allies in a seemingly corrupt system. 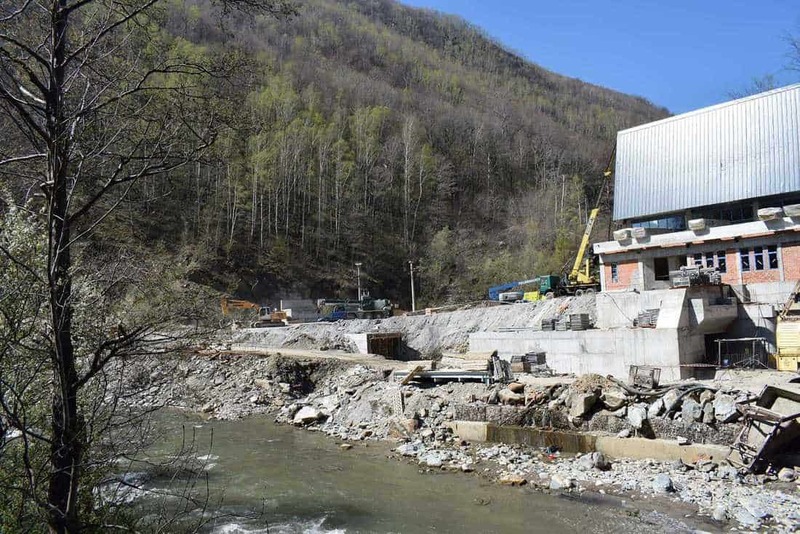 Not only the state building supervision, but also the public prosecutor’s office, the police and the Romanian environmental protection authority seem to support the construction work in the Jiu valley. Dejeu calls for action, as it is now the time for the prosecutors to intervene and stop the illegal activities. Besides Dejeu and EuroNatur, other organisations as WWF, Coalition Natura 2000, Bankwatch and many volunteers put a lot of their effort in the protection of the Jiu River. Watch the video below to learn more about the whole situation. Read the latest news here. We certainly would love to pay tribute to all the engaged and motivated activists involved in this bitter fight to protect this iconic WILDRiver. Could you please send us more information, so that we can update the report accordingly and do not miss any. Could you also please let us know, if it would make sense from your perspective to start a quick-audit to certify the Jiu as a WILDRiver and part of the European Wilderness Network. We would then join you with 2-3 auditors for about a week to assess the river according to the European Wilderness Quality Standard. Dear Wilderness-Society, there are several HUGE errors in this article. Calin Dejeu didn’t won any court trial, nor EuroNatur. Please stop spreading this kind of lies. Calin is just one of the guys working at this case. The hard work was done by WWF, Coalition Natura 2000, Bankwatch and many other volunteers. Please make some corrections, is not fair to all the people who put efforts! Thanks, Liviu Cioineag, Coalition Natura 2000.